Charlotte Brontë famously lived her life in a parsonage on a remote English moor with a demanding father and creative siblings. Claire Harman's biography transcends these melancholy facts to reveal a woman for whom duty and piety gave way to rebellion and ambition. Drawing on letters unavailable to previous biographers, Harman depicts Charlotte's inner life with absorbing, novelistic intensity. She seizes upon a moment in Charlotte's adolescence that ignited her determination: while working at a school in Brussels, Charlotte fell in love with her married professor, a man who treated her as “nothing special.” She channeled her torment into her first novel and resolved to bring it to the world's attention.Jane Eyre set London abuzz with speculation: Who was this fiery author demanding love and justice for her plain heroine? Charlotte Brontë's blazingly intelligent women with hidden passions would transform English literature.Charlotte Brontë is a groundbreaking view of the beloved writer as a young woman ahead of her time. 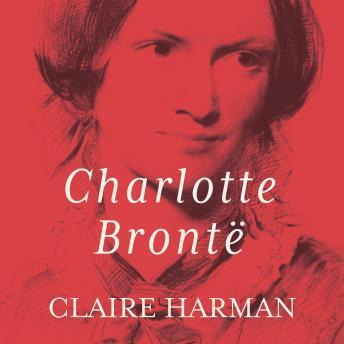 Shaped by Charlotte's lifelong struggle to claim love for herself, Harman's richly insightful biography offers readers many of the pleasures of Brontë's own work.